Ok, ok.... I know I've kinda fallen off the Recipe Share Sunday wagon the last few weeks... but it was the holidays and shiz.... so I'm back and with a recipe that I found on my Genuardi's receipt... seriously. 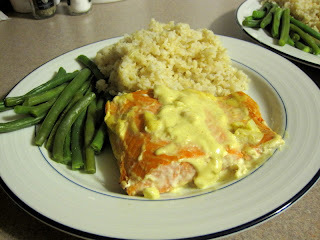 I'd give the dish a 3.5 out of 5... wasn't the best, and honestly probably won't make it again any time soon, but was definitely a welcome variation to making salmon. There are so many ways to make salmon, but we rarely stray from steamed or broiled.... so it was nice to have some infused flavor. Enjoy! kinda gross looking... but tasty.. tasting?? yes.. tasty tasting. 2. Set aside 1/3 of mayo mixture in separate bowl. 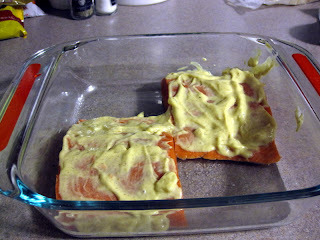 Brush salmon with 2/3 mixture in glass bottom pan. 4. 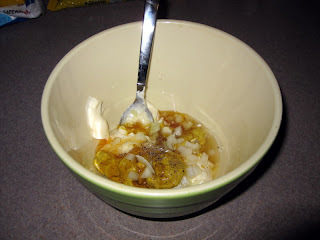 Serve with remaining mayo mixture, If desired garnish with chopped green onions. 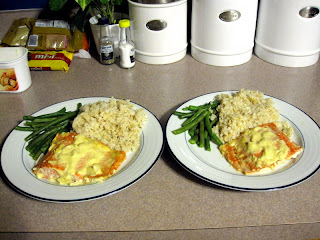 It was definitely a nice change to plain salmon. 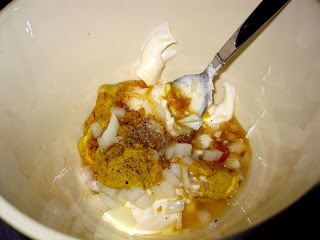 I think the only thing I'd tweak (and I probably should have mentioned this in my post) is that I would reduce the amount of mayo. It was a little thicker/creamier than I would have expected. I think I would prefer it to be a little lighter. looks yum! 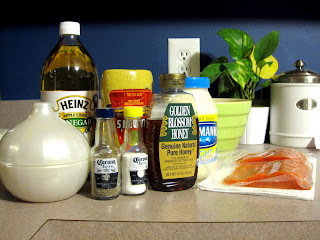 must try this recipe soon!